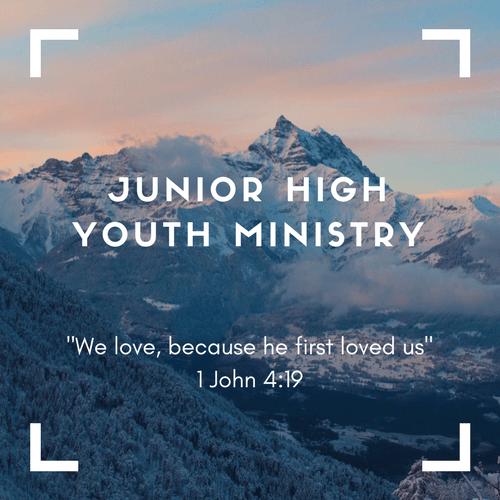 St. Mary of Sorrows Junior High Youth Ministry program offers 6th, 7th, and 8th grade students social events, service opportunities, fun trips, and retreats to help you grow in your faith while having fun with your friends. All Junior High students are invited to our events. Feel free to bring friends from other schools, parishes and faiths! IGNITE is our monthly large group meeting. We meet on the first Saturday of the month, beginning in October. These nights are amazing opportunities to learn more about the faith in a relaxed and engaging environment. IGNITEs being with the 5:00pm Saturday evening mass, followed by dinner, games and a bit of catechesis. IGNITEs run 6:00-8:00pm. We work in collaboration with the parish Religious Education office, offering enriching social, catechetical, and service experiences for the teens. Our Junior High Youth Minister is Maddy Ledón. Please email Maddy if you have any questions or suggestions!